Handsome erect shrub approximately 9'. All parts covered with soft down. White flowers in spring/summer. Snow & frost hardy and tolerant of a wide range of conditions including coastal exposure and partial shade. We have grown several forms including one called "Oregon Form" that apparently tolerates conditions in Portland, Oregon. 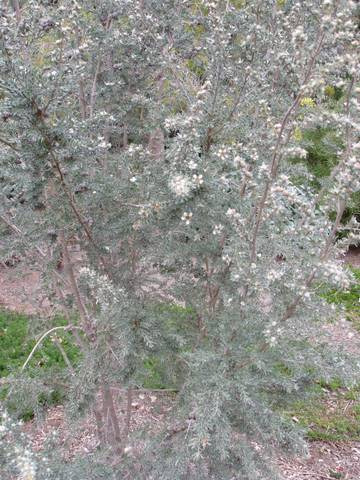 We also grow a selected form with grey woolly leaves and is a shrub to approx 9'.